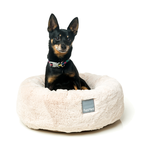 Which dog beds are the best? 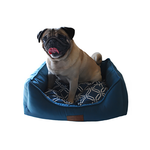 Knowing which dog bed to purchase depends on how your dog sleeps. 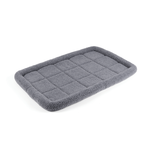 For example, if you have a large dog that likes to stretch out, try a cushion or mat that will give them plenty of room to do so. 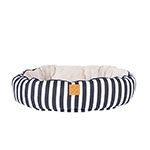 Dogs that like to curl up will love a bolster bed with high, padded sides, giving them something to snuggle into. 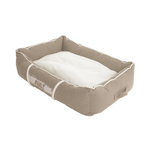 Elevated dog beds allow for great ventilation during summer and provide firm, even support. 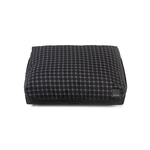 Dogs recovering from injury and dogs with arthritis need a cushioned mat or an orthopaedic memory foam dog beds that will support their joints during treatment. 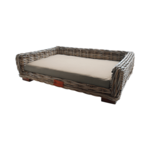 And of course, traditional kennels are great for dogs that sleep outside, protecting them from the elements while also keeping them cool in summer and warm in winter. 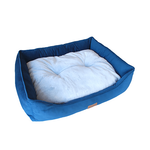 No matter what style of bed your dog prefers, we guarantee the best selection of luxury dog beds in Australia. 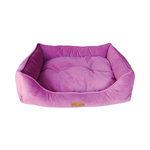 At Pet Circle we carry top brands such as Fuzzyard and Snooza dog beds. 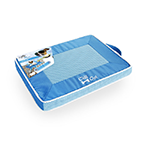 When selecting a pet bed for use outdoors, you should always seek a water-resistant material. Most indoor dog bedding is not suitable for outdoors, because it lacks the correct fabric treatments to stay dry. 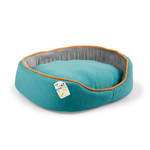 Other key features you'll want in an outdoor dog bed include UV treating, washable fabrics, and a quality zipper to keep unwanted pests like flees out! 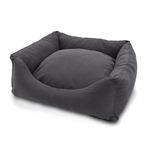 Looking for a durable dog bed? 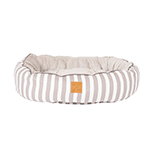 When looking for a durable dog bed, some key features you will want to focus on are the material, stitching and the washability of the fabric. 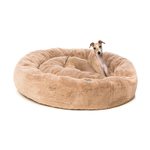 If you're looking for cosy but still durable dog beds, check out our selections from Snooza, Rogz, and Fuzzyard! 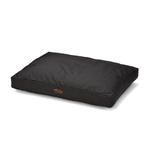 They offer tear-resistant fabrics that are easy to clean and great for the dog that loves to snuggle! 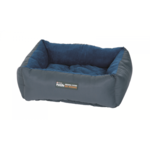 The Petlife Self-warming cuddle bed is cosy and easy to wash with an ultra-soft surface. 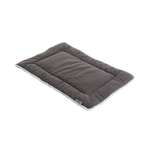 It's made from a warm material that traps your dog's body heat and reflects it back towards them. 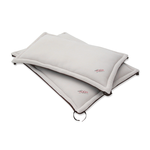 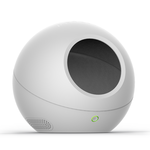 It also has non-slip beads on the base and a fleecy covering. 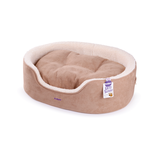 No electricity, no microwaving - this bed is self-heating through your dog's own body heat. 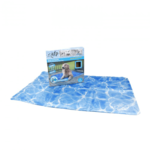 For dogs that like to stretch out, try the Petlife Throw Pad instead. 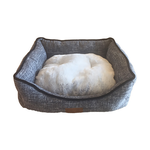 When summer hits, your dog will want a cool place to lay his or her head! 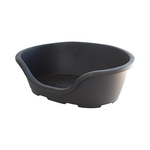 We have some great options for both indoor and outdoor dogs. 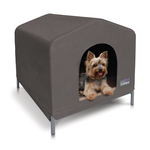 For outdoor pups, check out the lightweight Kazoo Cabanas that will keep the sun off your dog’s back. 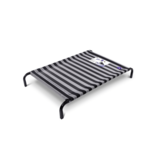 For shady yards, consider the Snooza D1000 mat or our wide selection of breathable elevated beds. 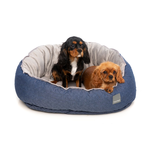 For pet owners looking for a multi-seasonal indoor dog bed, check out our range of reversible circular beds. 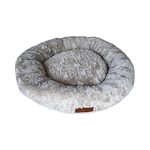 With plush fleece cushion on the inside and a stylish cotton printed outside, these beds can be easily reversed with the changing of the seasons. 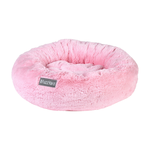 Buy dog beds, blankets and more online at Pet Circle and enjoy the convenience of free delivery over $29 straight to your door, always at the best price with our price match guarantee.